Despite following the same basic formula and concept, most actions games offer unique features that help them to stand out from the rest. For many gamers, it is these factors that help to spice up the gameplay and keep them glued to their screens for hours on end. After all, if every game were completely similar to the others, what would be the point in trying new titles? In this sense, even though the different features in many games contribute towards the same end (strengthening your character, advancing the story, etc), the exact method can vary considerably in each title. 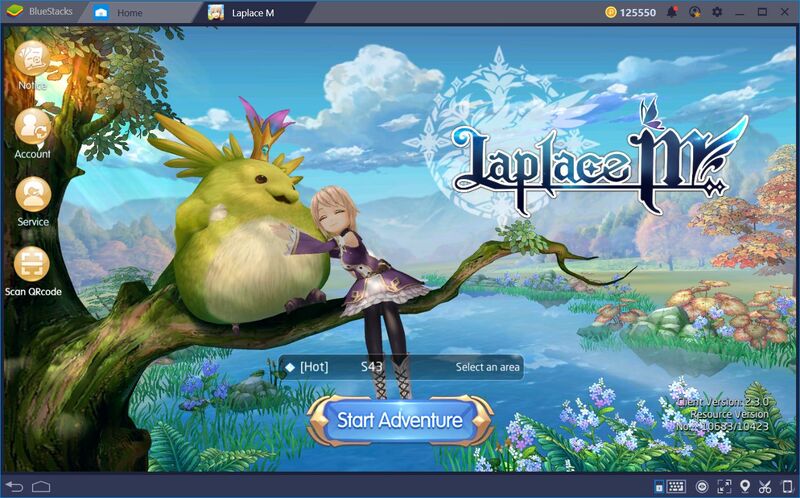 Laplace M is, as we mentioned in our review, an action game that, like many other titles in the genre, revolves around fighting and cutting your way through hordes of enemies. Almost everything that you do in this game is, in one way or another, related to fighting against enemies on the battlefield. Because of this, it’s easy to fall prey to the repetitive nature of the game and conform to killing monsters in one area, despite there being much better ways to power up your character. Especially if you play on BlueStacks, you will likely want to stay in the same place for hours since our improved control schemes make the combat in this game much more fun than it already is. 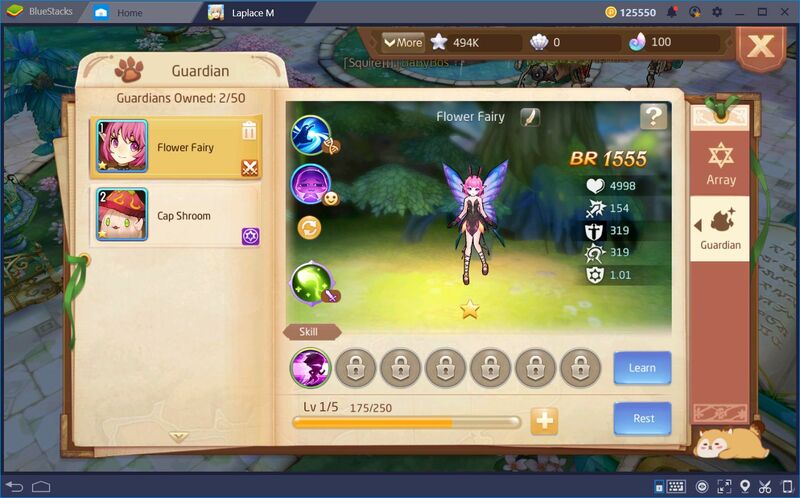 Nevertheless, there are many methods through which you can obtain experience, receive new gear and cards, and even unlock new guardians in Laplace M. Moreover all of these factors contribute to the overall strength of your character. In this article, we will talk about all the methods that you can use to increase your power in this game so that you can rise up to every single challenge that you’ll encounter along the way. In this game, your character’s power is represented by a number called the Battle Rating. 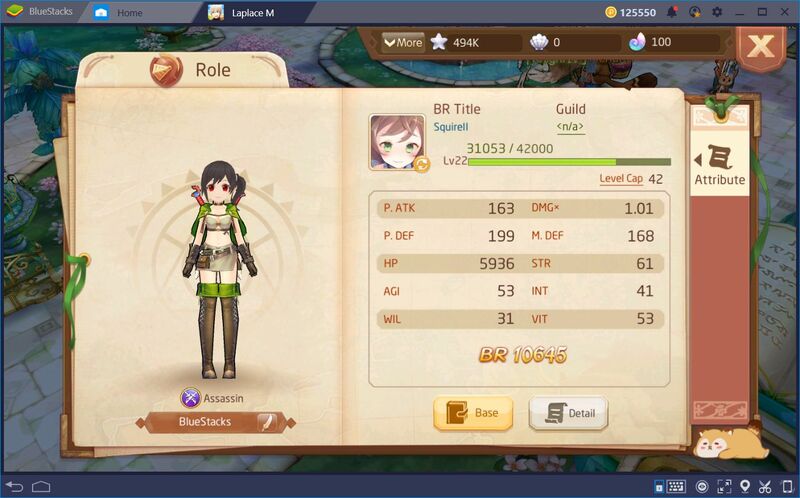 As you pick up new techniques, unlock new guardians, and equip better gear, this number will increase. In this sense, the higher your BR, the more powerful your character will be. As we mentioned above, there are many ways to acquire power in Laplace M. One of these methods involves, first and foremost, increasing your level. Once you gather enough experience to increase your level, your attributes will increase slightly, and your BR along with them. However, the BR increase from leveling alone is small in comparison to other methods. In this sense, it’s technically possible to be at a high level, with a low BR, which would make it very difficult to complete challenges and dungeons. 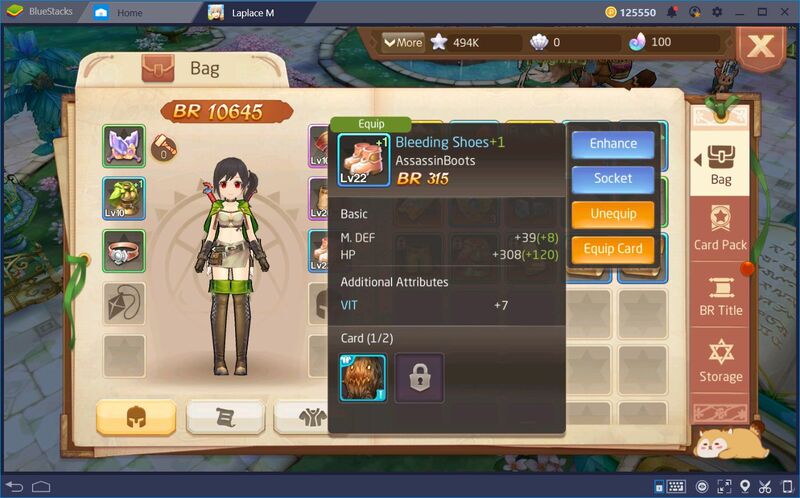 Clothing in this game is the main method for increasing your character’s BR. Once you equip items of a higher level than what you currently have on, your combat prowess will increase accordingly. However, the armor and weapons that you use are only the foundation of your character’s power; they contribute until a certain point, but their use is limited without cards, which we’ll talk about shortly. All of your gear can be improved using the materials you pick up in the world. Once you improve a piece of gear, its stats and usefulness will increase, along with your BR. Furthermore, the gear enhancements are not limited to specific pieces since they transfer automatically when you swap them for other, better pieces of gear. For example: if you upgrade your gloves to +1, and then swap them for a better pair, the new gloves will be +1 as well without having to start the upgrading process from scratch. If your clothing is the foundation of your character’s power, the cards are the materials with which you will build the rest. By completing certain challenges and dungeons in Laplace, you will receive cards as a reward, which you can embed in your weapons and armors to increase their attributes. Every card is different and contributes to different stats. However, there are many rare cards that not only increase your attributes but also grant new skills such as transformations or special moves. These attacks can, at times, be stronger than your standard skills! 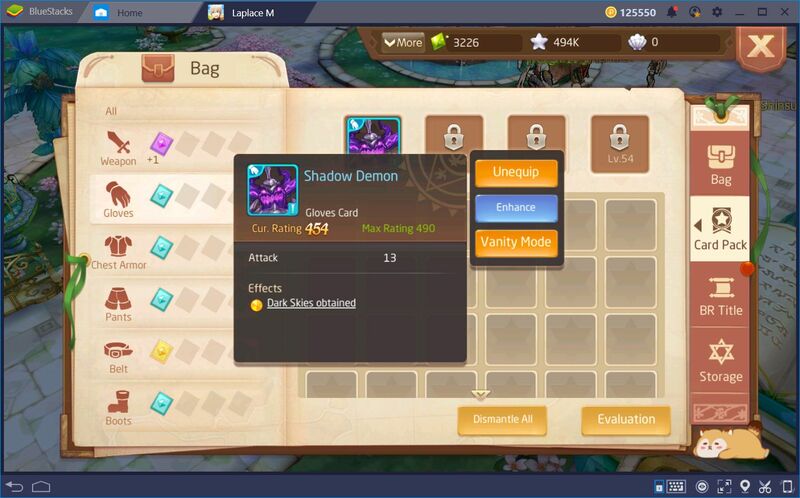 Keeping your cards updated is a good way to strengthen your character, especially because, like your gear, cards can also be upgraded. However, when you enhance a card, not only will its stats increase, but the effectiveness of the skills associated with each card will also power up. 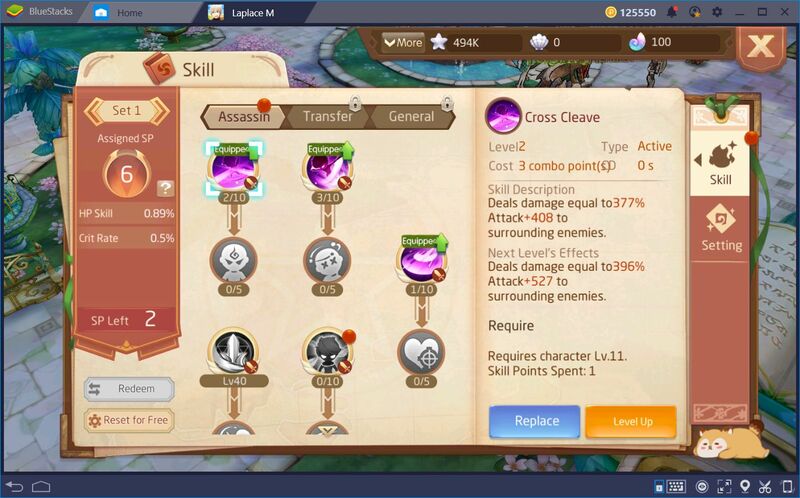 Every time you level up, you will receive skill points that you can use to unlock new skills or to upgrade the ones that you currently have unlocked. Just like with the other methods, unlocking and upgrading your skills both contribute to your BR. As a general rule of thumb, we recommend investing first in the skills that deal the most damage, followed by the utilitarian skills. After all, the best way of keeping safe on the battlefield is to eliminate your enemies as fast as possible. Guardians are an important component of this game, especially when referring to your character’s power. They are creatures that you can capture and add to your team, which provide bonuses to your stats and help you out on the field. 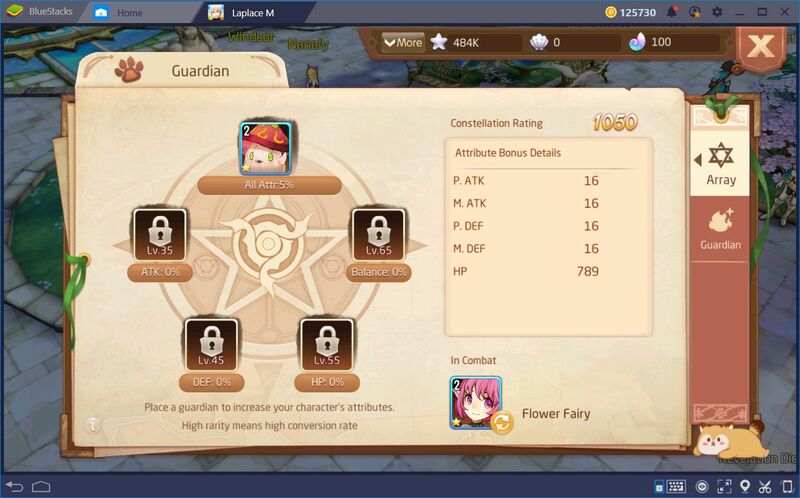 Every guardian is unique: some boost your attributes considerably, but are weaker in combat, while others don’t increase your stats at all, but are powerhouses on the field. Furthermore, each guardian has skills that they can use in the field to help you dispatch your enemies. Some of these creatures can even help to keep you alive by healing you. 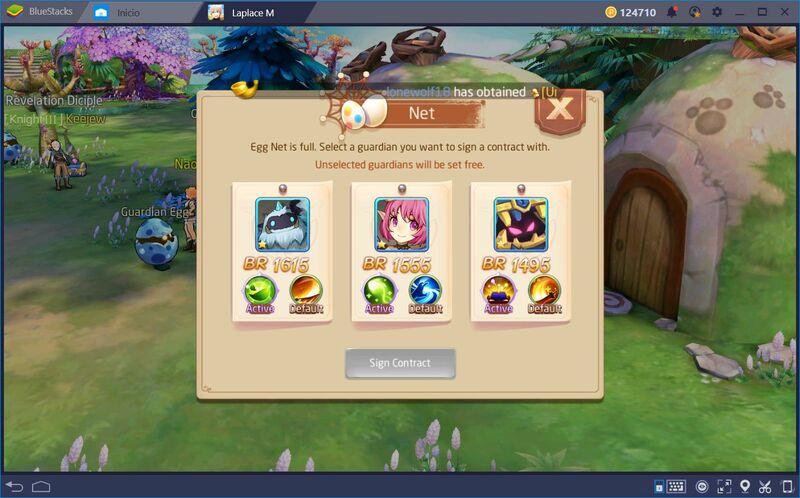 To unlock new guardians, you must first acquire a Net, which is obtained as a reward for certain tasks. Once you have one, you may travel to Guardian Island and use these nets to capture up to three eggs. Once you’re done, you can pick only one of the three guardians that you snatched. Each guardian has a number of stars that represents their power and skills. However, before they can help you in the field, you must first “equip” them by clicking on “deploy” in the guardian menu. Furthermore, the guardians that you keep on reserve can be equipped to the guardian array in this same menu. The bonuses they grant from this feature will increase with the strength and rarity of the guardian, so it’s always better to use your best critters for the array. 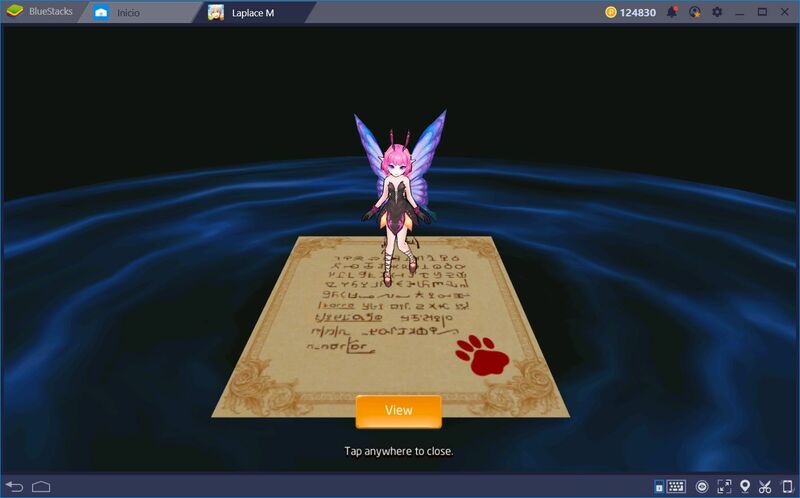 The elements that we’ve mentioned in this guide are only a few methods that you can use for improving your character in Laplace M. Nevertheless, with the knowledge we have given you, you can now direct your efforts to tasks that will help to increase your power effectively, and stop wasting time grinding with monsters on the map until the end of time.